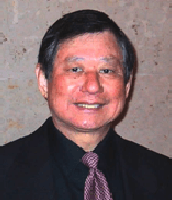 Dr. Walter Ling is Professor Emeritus of Psychiatry and the founding director of the Integrated Substance Abuse Programs (ISAP) at UCLA, one of the foremost substance abuse research groups in the US. He is board certified in neurology and psychiatry, is active in research and clinical work, and has been listed in ‘Best Doctors in America’, ‘Best Doctors in the West’ and ‘Best Doctors in Los Angeles’. Doctor Ling’s research in opiate pharmacotherapy provided pivotal information for the approval of buprenorphine and naltrexone. His current focus of research includes abuse and dependence on methamphetamine, cocaine, heroin and prescription opiates; opiate induced hyperalgesia, treatment of pain in opiate-maintained patients, including those treated with buprenorphine and the role of buprenorphine in the management of pain in these patients. Dr Ling is a fellow of the American Academy of Neurology; he has served as Commissioner for the Narcotics and Dangerous Drugs Commission, Los Angeles County, California; and a consultant on narcotics for the World Health Organization, the United Nations, and the U.S. Department of State. He has extended ISAP’s research and training activities beyond the US to China, Southeast Asia and the Middle East. He has authored and coauthored abstracts, numerous book chapters, and more than 200 articles published in peer-reviewed journals, including Journal of American Medical Association, New England Journal of Medicine, Drug and Alcohol Dependence, Journal of Substance Abuse Treatment, Addiction, Journal of Addiction Medicine, and Journal of Psychiatric Research. Detox: What’s It All About?